A fun and unique tour experience Imagine cruising effortlessly through beautiful parks and around historic buildings while receiving informative historical and current- day information, heaps of unique and fascinating stories, and superb personal service from your expert guide. 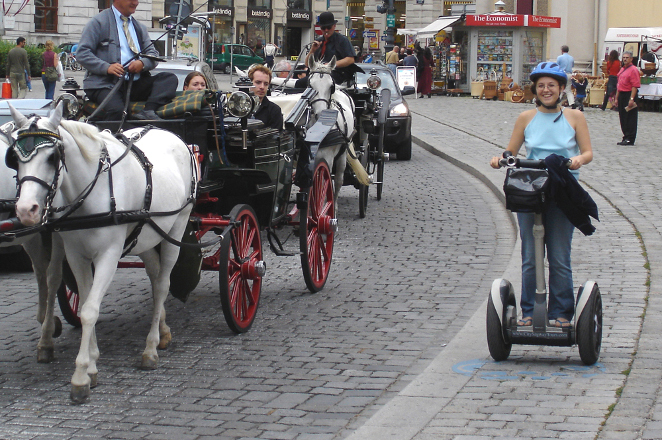 Make this a reality on one of our Vienna Segway Tours! The Segway is the first of its kind— a self-balancing, personal transportation device that’s designed to operate in any pedestrian environment. It’s new, it’s cool, and it’s a ton of fun! Our 3-hour Vienna Segway tours provide an excellent orientation to Vienna, its fascinating history and glorious beauty—an experience that's hard to match. 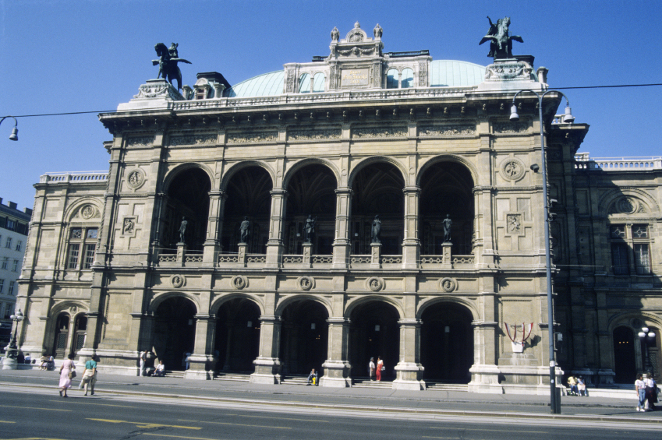 We meet at one of Vienna's most famous landmarks, the Opera House. You'll glide along the tree- lined Ringstrasse, past impressive palaces and through pretty parks. Fantastic photo-ops abound. We'll visit the Hofburg, the Rathaus, the golden Mozart statue in Stadtpark and ride through the narrow lanes of Vienna's Old Town. 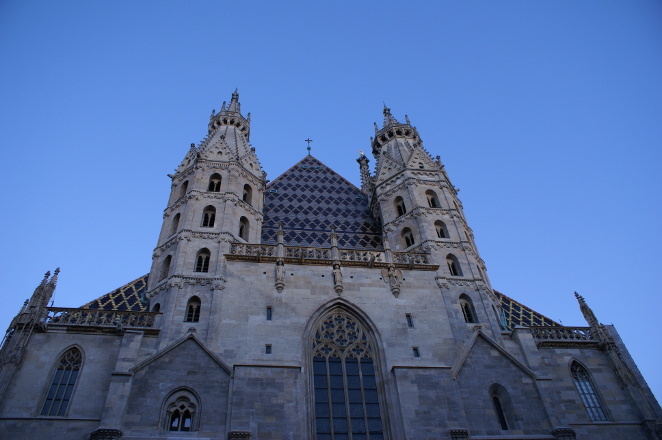 You’ll witness the splendor of Imperial Vienna as you slowly glide by its dazzling locales. Our 3-hour tours are limited to small groups with one guide so you can count on a fun, intimate experience. Discover what it’s like to be a celebrity as everyone—and we mean everyone—turns to watch us glide by! 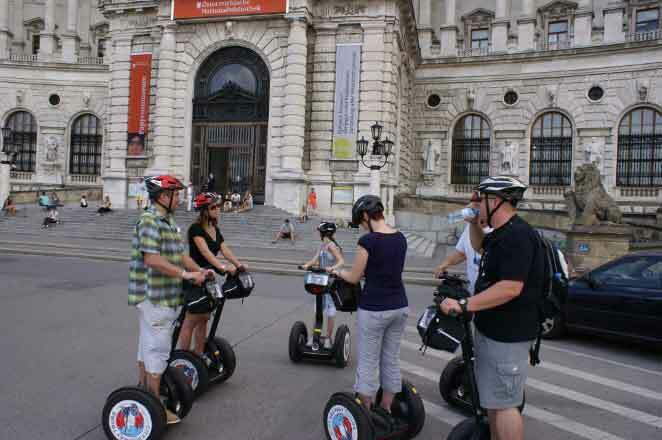 All our Vienna Segway Tours begin with a short 20 minute training session. 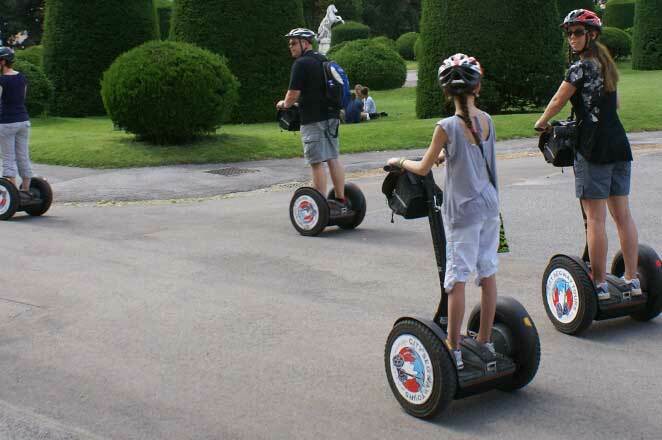 The Segway tour is for virtually anyone, 12 years and older. Unfortunately pregnant women will not be permitted to participate.